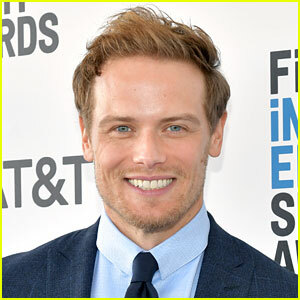 Sam Heughan is one of the hottest and most in-demand actors right now, and we’ve decided to take a look back at his time in the spotlight! We’ve found photos of Sam from over ten years ago, back in 2008 all the way up until today for fans to enjoy! 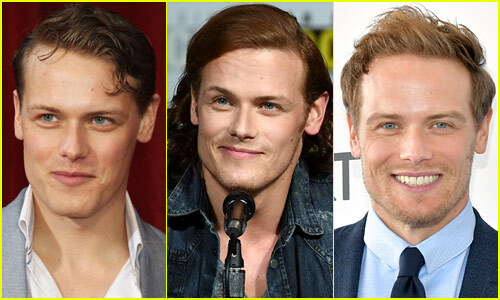 If you’re craving more Outlander content, be sure to check out which two actors were considered for the leading role of Jamie before Sam landed the role! We cannot wait for season five of Outlander, and it looks like Caitriona Balfe wants Sam Heughan to get back to work to get things going, too! A few days ago, Sam posted a photo of himself on top of a mountain range on his Instagram account. Well, it didn’t take long for Caitriona to do one of her classic roasts of her co-star! 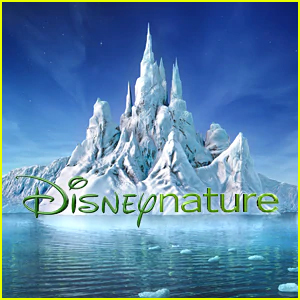 The cast and crew is currently prepping to film the fifth season of the smash hit show. 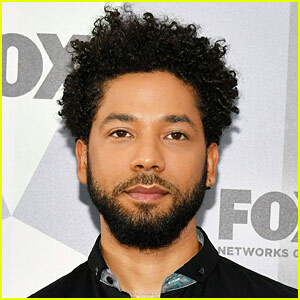 This poll is now closed! Fans overwhelmingly voted for Sam to be the next James Bond over the next Batman! 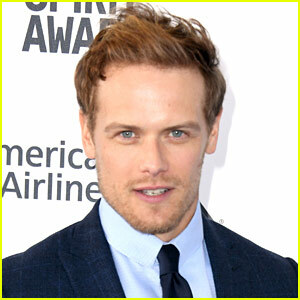 Thank you for voting, and stay tuned to Just Jared for more Sam Heughan news. Sam‘s fans overwhelmingly voted him to be both the next Batman and the next James Bond! 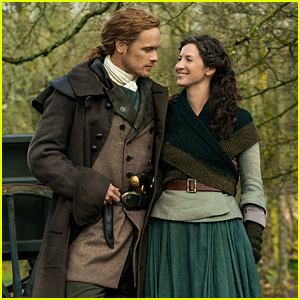 So, now we want to hear specifically from fans of Sam and the Outlander franchise. Which role would you rather see Sam take on…Batman or James Bond!? Vote in the poll below and let us know which you’d prefer…Sam as Batman or Sam as James Bond! And…if you want Sam to be BOTH James Bond and Batman, well, you can vote for multiple options! We’ll close this poll on Thursday (March 14) at 2pm ET. Would You Rather Sam Heughan Take on the Role of Batman or James Bond? If you missed it, Caitriona Balfe served up a funny roast of her Outlander co-star Sam Heughan for his bow tie at the Vanity Fair Oscars party over the weekend. Well, it didn’t take long for Sam to respond to his co-star with his own fun roast! 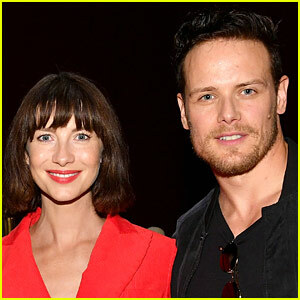 Sam playfully responded to Caitriona, writing, “you looked wonderful! Though you do appear to have a hole in your dress hon? ?” Sam is, of course, referring to the chic cutouts in Caitriona‘s dress. See the entire exchange below! FYI: Caitriona is wearing a Dundas dress, Ana Khouri jewelry, and a Judith Leiber clutch. Sam is wearing Richard James and a Bulgari watch.